How to reduce the costs, logistic stress and worry of an unclaimed property audit. An unclaimed property audit can comprise the greatest risk of unclaimed property, because costs often skyrocket when penalties and past escheatment amounts are calculated. MarketSphere’s team has successfully partnered with customers in hundreds of audits and we are eager to share what we know to help you. The subtleties can cause undue risk and burden on your staff. 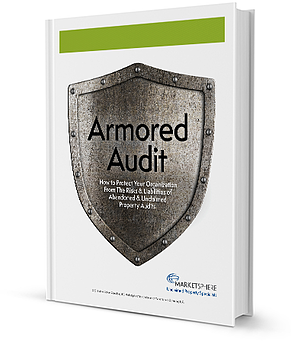 Download this worksheet to help you prepare for the eventuality of an audit.